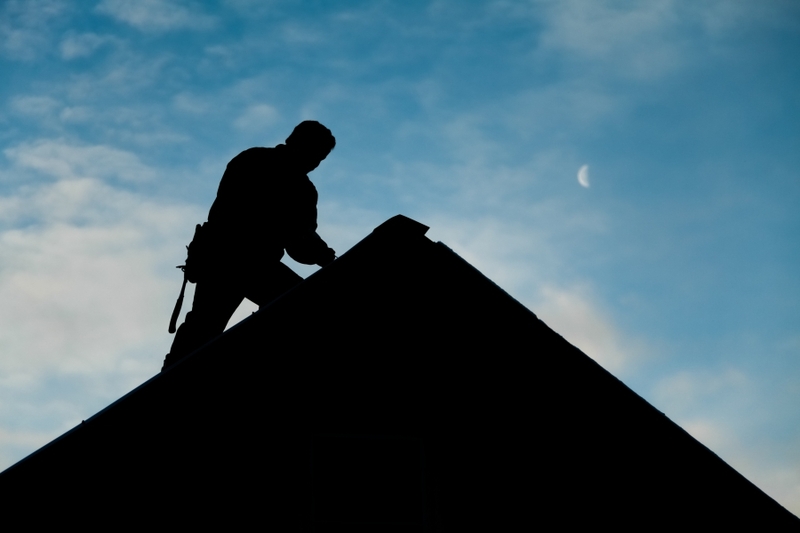 Did you know that your home or business’s roof is subject to harmful elements each and every day? Things like algae, mold, and broken shingles can wreak havoc on your property. Unless you properly maintain the condition of your roof on your own, there’s a good chance these things will lead to costly repairs, and even roof replacement down the line. When you make a point to hire a professional roof cleaning company, you can actually extend the life of your roof, saving you thousands of dollars in the long run. If you live in the Nashville area and you’re look for professional, local roof cleaners to assist you with residential or commercial roof cleaning, contact Nashville Roof Cleaners today. Our team is passionate about providing you with next-level roof cleaning services and we would love to be of service. Contact Our Roof Cleaning Company Today! 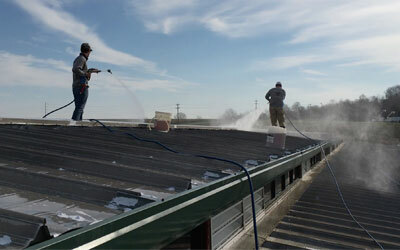 Why Should I Hire A Nashville Roof Cleaning Company? 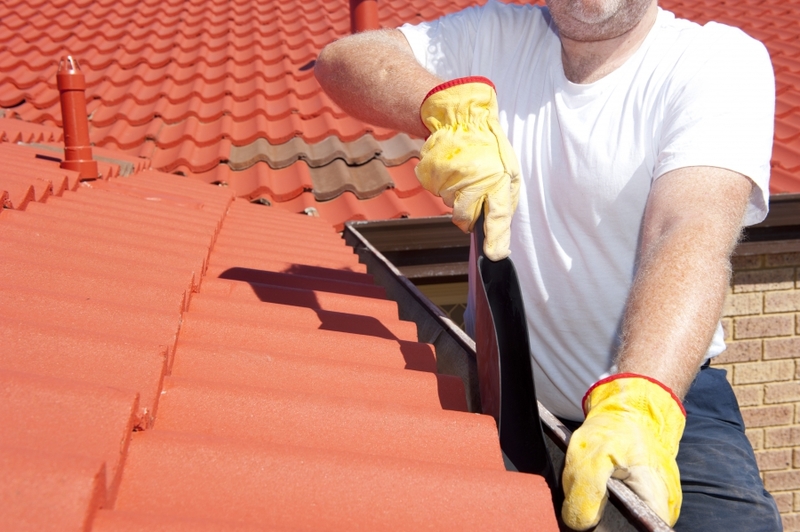 If you’re like most homeowners, you probably think you can save a pretty penny by trying to clean your roof yourself. We highly recommend avoiding this route because roof cleaning is a difficult and tedious task (especially for novice cleaners!). You’ll have to find the best roof cleaner, rent a power washer, purchase ladders…the list goes on and on. Instead of worrying about these things, make it easy on yourself by calling Nashville Roof Cleaners today. While you may not think a mold infestation on your roof is a big deal, we’re here to tell you that it is. Not only can mold cause damage to your roof, it can lead to an array of health issues for you and your family. If your eyes have started to itch or you find yourself coughing and sneezing for no apparent reason, you may be dealing with a mold issue. Have you started to notice dark stains or streaks on your roof? This is likely mold, and while it does have the potential to harm your health, it can also have a negative effect on the cost of your heating bill. Dark stains on your roof, also known as mold, actually act as a sponge to absorb the sun’s heat. This can cause the temperature inside of your home to rise, resulting in heft air conditioning bills. Roof cleaning can be risky business, especially if you don’t have the proper tools and equipment to get the job done right. Some people will scrub their roof with a brush and a bucket of soapy water, while others will rent a pressure washer from their local hardware store. While you may feel that climbing ladders and navigating your roof will be easy, you run the risk of injuring yourself by slipping off the roof or falling from the ladder. If you plan on selling your home in the near or distant future, you’ll be happy to know that regular roof cleaning can increase your home’s value. A clean roof can have a big impact on the curb appeal of your property. As onlookers and potential buyers pass by your home, they’ll be inspecting everything from your roof to your sidewalk and flower beds. By removing the grime, algae, and mold from your roof, you’re improving the appearance of your structure and the longevity of your roof. Most over-the-counter roof cleaning solutions contain harmful chemicals. They can eat away at the roof and structure of your building, costing you thousands of dollars in repairs. When you hire a roof cleaning company like Nashville Roof Cleaners, you can rest assured that we use safe and effective cleaning methods that will not harm your structure. When Should I Have My Roof Cleaned? Your roof should be cleaned on a regular basis, but if you start to notice black mold streaks or fungus growth, you should contact a professional roof cleaning company right away. Most homeowners think that the buildup on their roof will go away on its own, but this is far from the truth. The longer you let fungus and mold sit on your structure, the more money it’s going to cost to have it cleaned (and possibly repaired). Will Roof Cleaning Preserve My Roof? Absolutely! Roof cleaning is the best way to preserve the tiles or shingles on your roof. When you make a point to hire a roof cleaning company to remove mold, moss, debris, and algae, you won’t have to worry about having to replace your roofing system. What Are The Ugly Black Stains On My Roof? If you have started to notice unsightly black stains on your roof, this is likely caused by an algae known as Gloeocapsa Magma. This algae is a living breathing organism that feeds on roofing materials. This type of algae can be found on the north side of your roof where there is a good amount of shade and moisture (this is what algae needs to survive). If left untreated, algae can spread to other parts of your property like your gutters and siding. Will Algae & Mold Ruin My Roof? Yes. 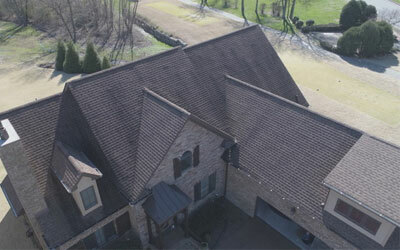 Algae is the main cause of premature roof failure. In fact, some studies show that your roofing system could lose up to 50 percent of its service life from an infestation of these microorganisms. When left untreated, algae will set on your roof and decompose the materials. 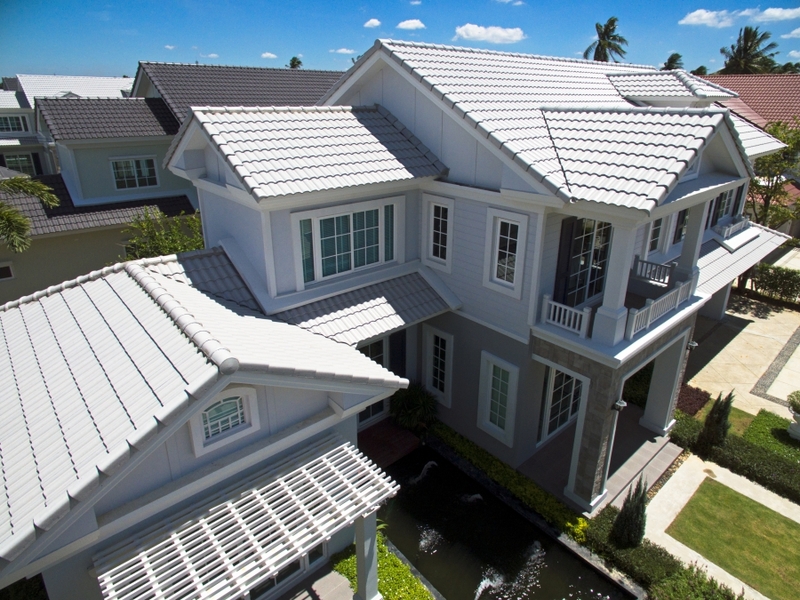 If you want to make your home’s roof look new again, call the professionals at Nashville Roof Cleaners today. We take pride in offering Nashville residents and commercial business owners with some of the best roof cleaning services in town and our staff is dedicated to your satisfaction. When you hire our roof cleaning experts, we’ll remove fungus and algae from your roof to prevent further growth and to protect the integrity of your structure. Check out some of our videos to learn more about our roof cleaning services. If you have any questions about marks on your roof or you need an expert opinion, reach out to our friendly team today. Get Your Speedy Fast Quote!